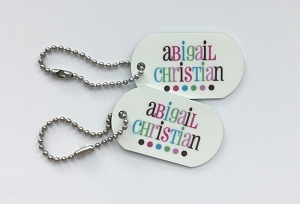 Mini 2"x1" aluminum tags are super-cute and long-lasting! Nickel plated ball chain included. Useful for lots of items like diaper bags, lunch boxes, backpacks, gym bags, or book totes. Lightweight and small enough to attach to a zipper or keychain! 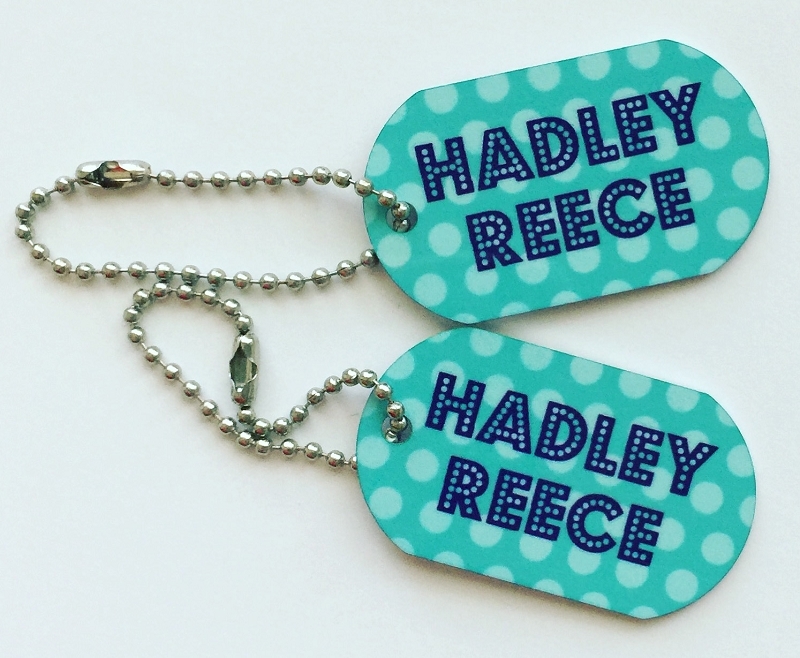 Made of heavy-duty aluminum, our stylish mini 2"x1" tags are long-lasting and super cute! Nickel plated ball chain included. Useful for lots of items and small enough to attach to a zipper or keychain!